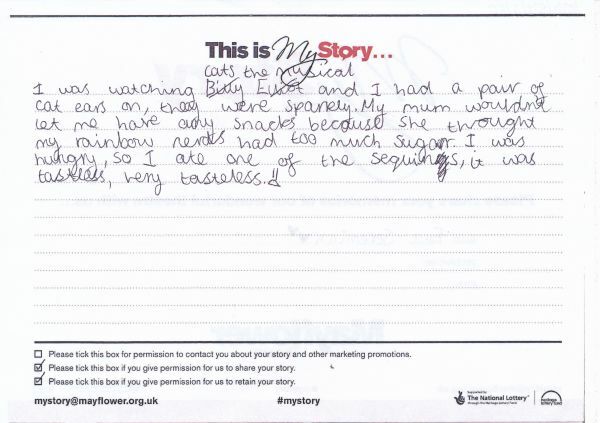 My Story card: Ella Jeremiah remembers watching Cats the Musical, being hungry and eating sequins. I was watching Cats the Musical and I had a pair of cat ears on, they were sparkly. My mum wouldn't let me have any snacks because she thought my rainbow nerds had too much sugar. I was hungry, so I ate one of the sequins, it was tastless, very tasteless.